I remember a while back during my giveaway someone mentioned something about me listing some products I’ve bought and tried but really didn’t like and would most likely never buy again. 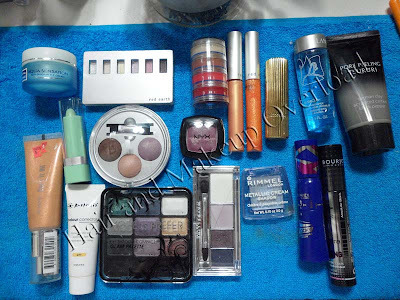 I rummaged through that drawer full of products I don’t use or like. Here is a list of stuff I’ve tried and didn’t like at all or very much. This is probably not everything, but just what I’ve got left of it in my collection. Have anyone tried anything on this list above and either hated it or loved it?